We are pleased to wish all our partners, customers, friends and anybody reading this post a happy new year 2019, filled with joy, friendly and happy relationships whether in your professional or private life, and the best possible outcome for all your projects. Maybe also is it time to discover the future of Data with us. We’ll be delighted to help if not already the case. With many cheerful thanks for all the energy shared with us along 2018. As you probably know, the new European General Data Protection Regulation is out. 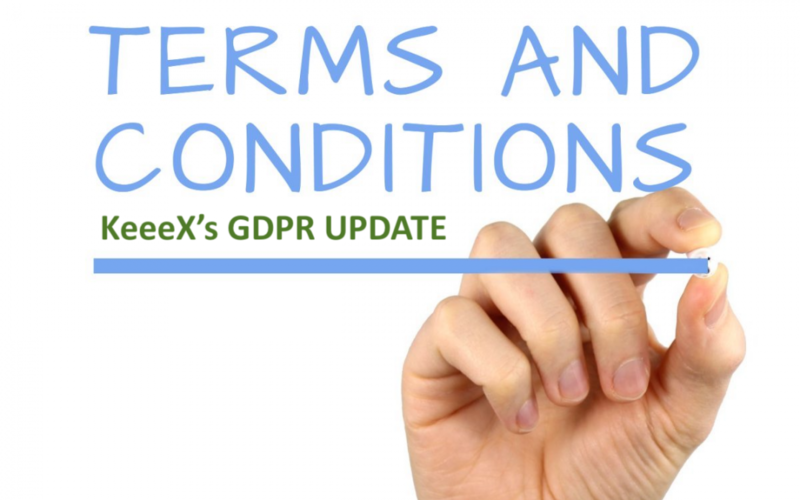 We at KeeeX have always treated personal data privacy at our highest priority, and are proud to think that we offer ultimate GDPR compliance. To the entire world. 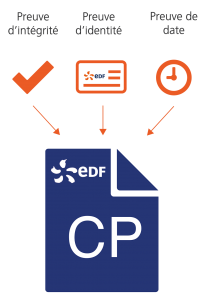 Using our apps, whether on Unix, PC or mobile, Data is processed on your side. When transferred it is encrypted end to end, in ways inaccessible to our it department or anyone but you or your partners. As per your instructions, Data may even be transferred using your own disks or clouds! But what matters more : KeeeX has NO business of any kind with your Data, Documents, Metadata, traces of Activity. We do not see, use, resell, train any AI with them. We just deliver the promise of permanently unforgeable files and interaction. 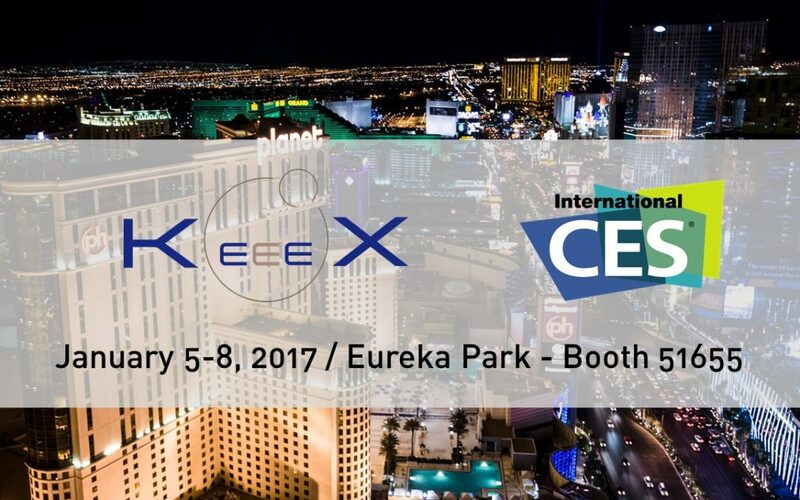 Come meet us at CES, January 5-8 2017, Eureka Park, Booth 51655. 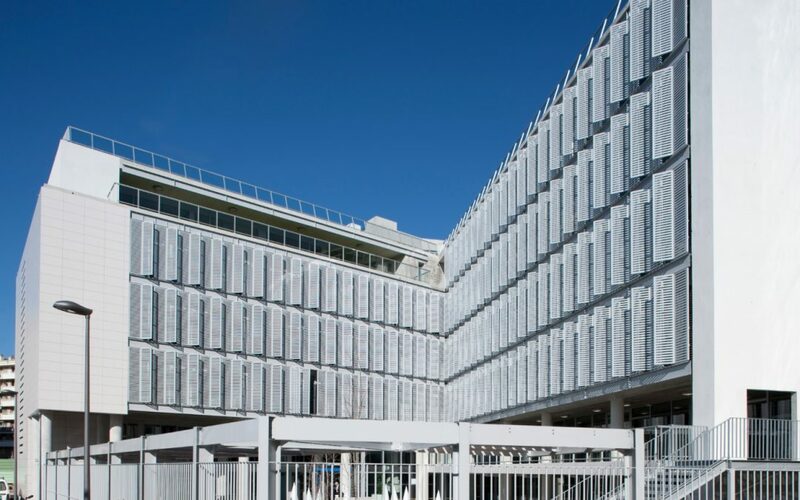 Let’s meet there so you can discover our unprecedented, today unbelievable fully operational blockchain trust solutions that address embedded document integrity, multi signatures, Blockchain identities and timestamps as well as ultra secure agile collaboration. Available for human as well as back office certified business processes. Oh, and KeeeX still leaves all data on your side and always will. Cheat and Leak free. The concept of a Blockchain, this unforgeable ledger freely available to all over the internet, provides the framework that allowed the crypto currency Bitcoin to emerge and operate. This is a tremendous innovation because the network of miners that secure the blockchain is in theory totally insensitive to any pressure, and the theoretical cost of attacking this network is very high (one million dollars per day is a frequently seen figure, not including many more other difficulties). The idea of an autonomous peer to peer system has proved its resilience in the past. The BitTorrent protocol is a good unstoppable example. The idea of protecting data using cryptographic computations also proved its usefulness, as illustrated by BitTorrent again, and the Git version management system. Bitcoin validates its underlying blockchain in the most spectacular way : the system operates since 2009 with a market capitalization that tops $8.5B at the time of this writing. 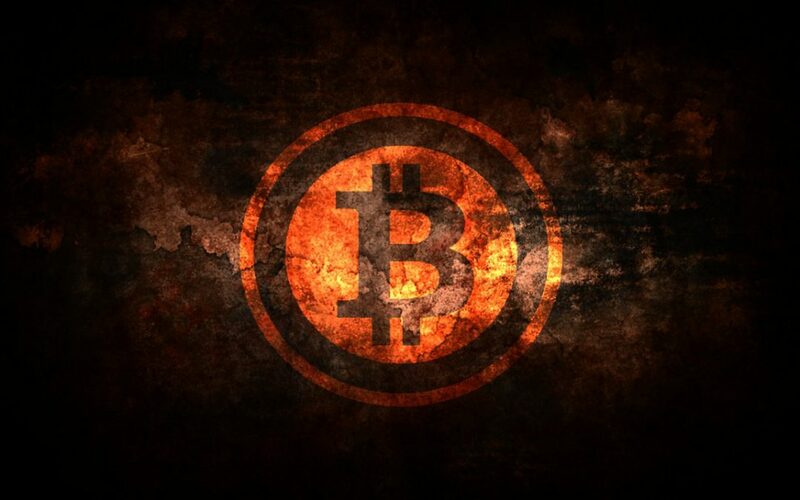 Bitcoin may well be the most attacked cryptographically based solution on earth. It has become common to compare Bitcoin with electronic gold, since this currency is by design limited in volume, and its blockchain is more adapted (today) to a limited number of large transfers rather than to many micro transactions. However, with its robustness, this blockchain is also suitable for recording unforgeable proofs of existence, registered for eternity. 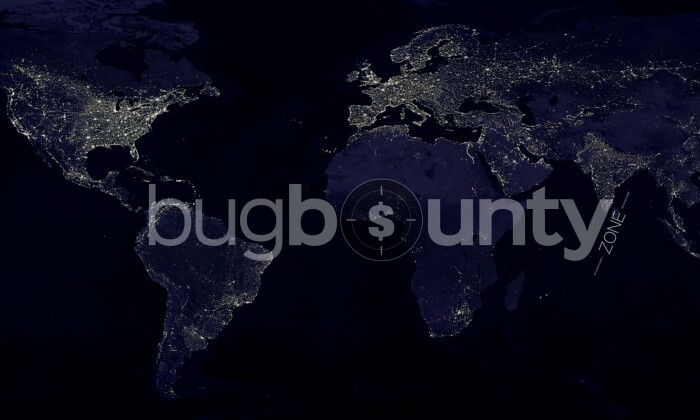 Every identifier, every code representing a virtual or real item may find its way to the blockchain, at the date given by the worldwide consensus of blockchain miners. One may thus notarize (smart) diplomas, bills, contracts, pictures, proofs of insurance claims, identity, ownership. The applications are numerous to environments structurally devoid of trusted tiers. For instance, geographic areas having no land registry can be equipped straightforwardly. The blockchain allows for absolute confidence between individuals who do not know each other. 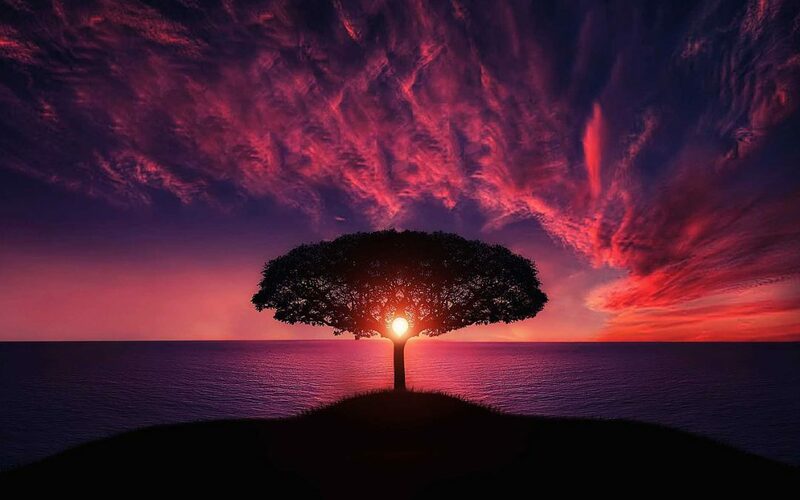 So, the most positive look that we can have on this technology is naturally ethical. The blockchain not only appears as an enabler, a source of savings, but also as a foundation for pacified relationships, within the economy, the industry, with official administrations, and for the respect of individual rights. This is so because, by granting a proof of existence to an entity, contract, signature, decision, agreement… at a given time, and without any risk of fraud, the blockchain eliminates up to the temptation of bad faith or lies. The blockchain hence becomes an immaterial handshake, a man to man agreement even in a distance. A simple chat, once notarized, becomes an indisputable contract. The blockchain turns the virtual world again into the village that it had ceased to be. 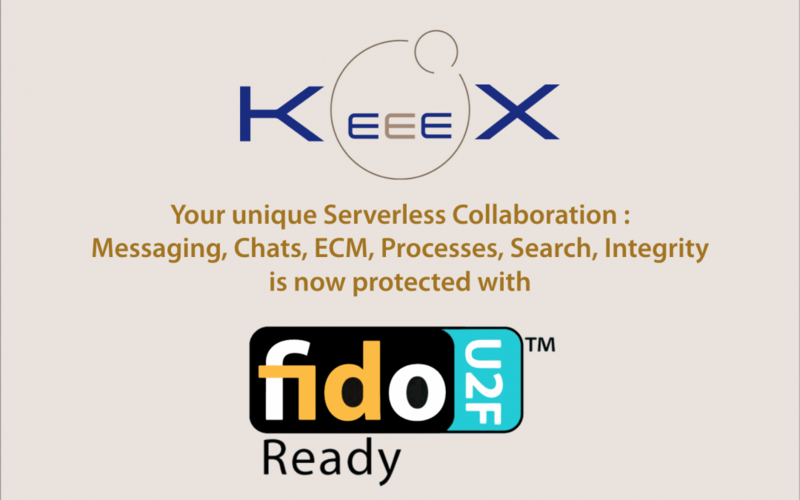 This slideshow provides highh level insights of the features and properties of KeeeX Messenger. But we may use this to immortalize our selfies forever! Specially with the latest KeeeX for Android beta, that is readily available. One full month free testing under the current terms. For photographers and authors KeeeX also allows for injecting your copyright settings straight inside the document you’re publishing. We are proud to announce that EMD Management has chosen KeeeX to provide certified smart diplomas to their students. Such smart diplomas can be verified as genuine at any point in the future by anyone, by just matching the Bitcoin blockchain ledger with the verified document and timestamp certificate. This operation simply amounts to dropping them on the free version of KeeeX. The deal was concluded by Xavier Palou (EMD Director) and Laurent Henocque (KeeeX founder), by mutually digitally signing and blockchain timestamping a digital agreement, created in the form of a simple KeeeX discussion. The timestamp certificate can be found here, then downloaded and verified. The EMD Alumni will now receive their smart diplomas, generated via KeeeX by one click operations. 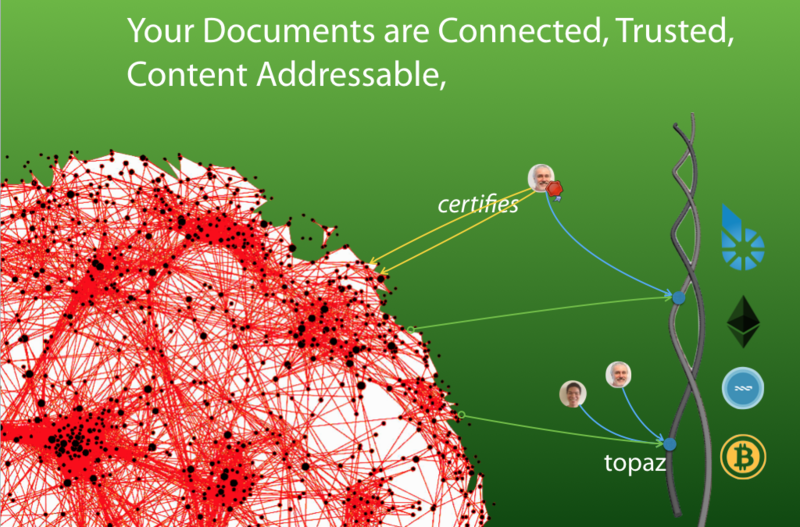 All participants remain in absolute control of the certified documents and proofs. The whole scheme is fully operational in the current KeeeX Tigon. EMD will be relieved from responding to diploma validity inquiries. KeeeX v3 ‘Tigon’ is live ! We’re extremely proud and happy to have you on our side and welcome you on this blog. The new KeeeX v3.0 is called ‘Tigon’, from the name of a delicate heart shaped flower, or sometimes of an hybrid of a lion and a tiger. It provides unprecedented ease of use, to initiate an instant chat, securely share a file, create a new version, manage a task list… All this without revealing a single byte of your data, in a decentralized way, beyond enterprise limits, without complex group or access rights, version name, date and password management. Away from email. 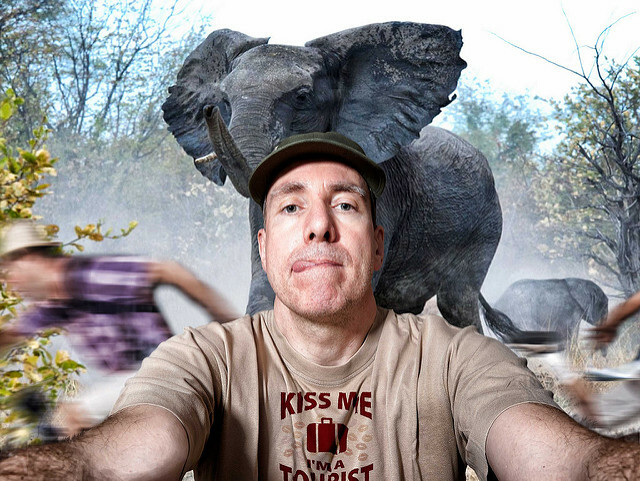 KeeeX Tigon also provides one clic timestamping over the Bitcoin blockchain of any contract, document, photograph, invention, creation, proof, copyright… You will create your own uses, or simply will love the fun of registering a selfie forever. We also wish to inform you ahead of time that the current ‘Collaboration Launch’ plan allows for unlimited timestamping. Leak, cheat and tie-in free. Enjoy! KeeeX proves integrity, authenticity, authorship of virtually any digital content. KeeeX identifiers are indexed by search engines, hence allowing for unprecedented accessibility and robustness to renaming and moving. Privacy, data protection, and identity theft have become issues of increasing interest. KeeeX leaves files where originals are. No transfer is made for processing. When files need to be transferred, they are encrypted end to end. 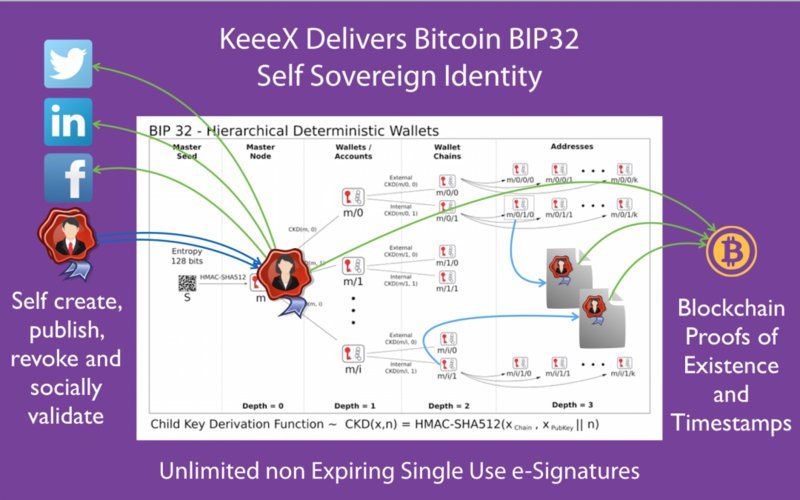 KeeeX implements digital signatures that prevent for identity theft as well. The increased importance of transparency and accountability in public administration, marked by the widespread adoption of Freedom of Information laws, has led to a focus on the need to manage records so that they can be easily accessed by the public. 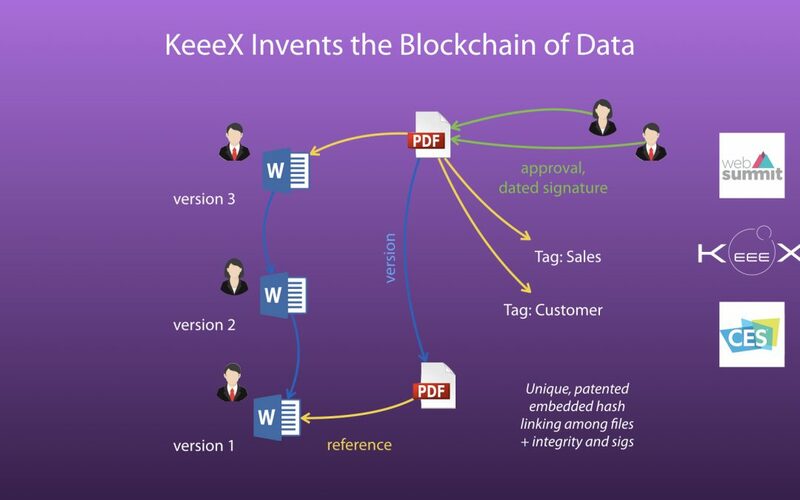 KeeeX allows for publishing documents that can be accessed by search engines, and hence made freely available to the public, who can verify their integrity for free. 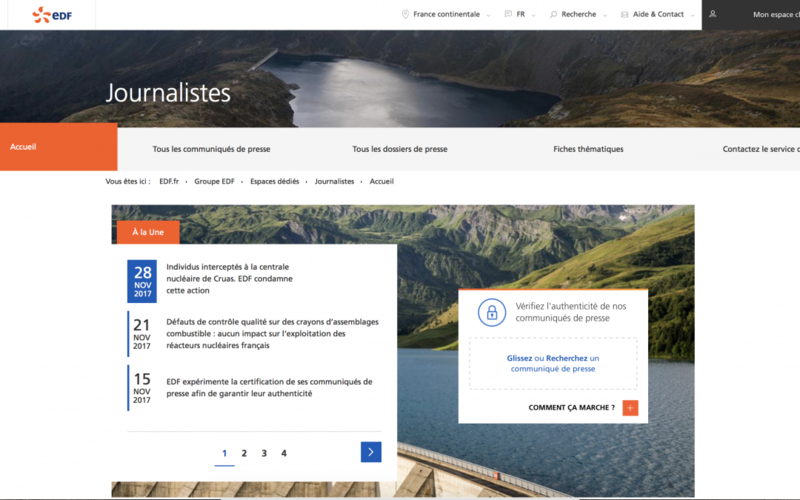 Check for instance this search: https://duckduckgo.com/?q=”xofos-bafek-zebug”. Implementing required changes to organizational culture is a major challenge, since records management is often seen as an unnecessary or low priority administrative task that can be performed at the lowest levels within an organization. 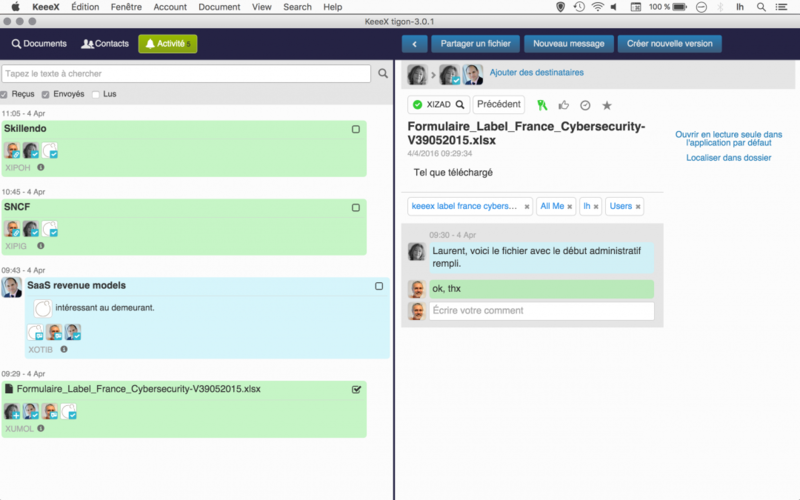 Using KeeeX, documents are classified and protected as part of everyday work and do not require extraneous actions. A difficult challenge for many enterprises is tied to the tracking of records through their entire information life cycle so that it’s clear, at all times, where a record exists or if it still exists at all. KeeeX will help track all successive versions of a record. Each specific version can be meta searched anywhere, including on a company’s disks, to assess whether the file still exists or not. The tracking of records through their life cycles allows records management staff to understand when and how to apply records related rules, such as rules for legal hold or destruction. Specific rules can be attached to records either informally in embedded descriptions of more formally using classifiers. It becomes possible, even in the absence of any tool, to track on company’s disks and servers all record instances that should be legally present or that should legally have been deleted. When a physical record has been scanned, it may naturally receive the KeeeX identifier of this scan, that can be used for storing and retrieving. This is so because these identifiers are humanized, and hence can be subject to alphabetical sorting. Such an archival strategy is considerably more robust to mis-classification than hierarchical folder archival. 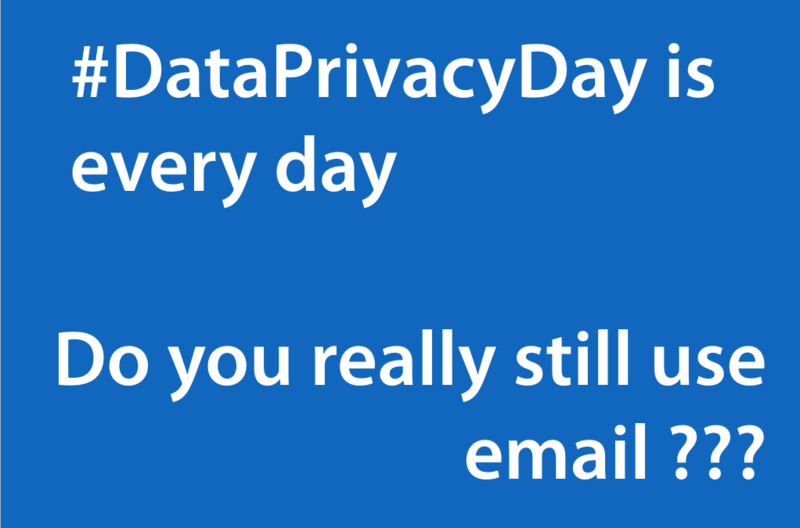 Thursday January the 28th was #DataPrivacyDay (or #DataProtectionDay). CEO, CTO, CIO, CFO, did you take any action? Do you really still use email ??? Stop leaking your IP on email, untrusted clouds and collaboration solutions. Stop leaking your IP with co-workers taking work at home using an untrusted synchronization system. What will happen when you wish to file a patent and some obscure company has beaten you in the race with obvious cheating? Start using KeeeX, the only durable, risk free, investment free, no-tie in, #nocloud, #nosaas, trusted zero knowledge message+content+process management solution that lets your colleagues send work anywhere, home inclusive, at no risk.